Shop Amazon and Help the Bubs Foundation! Want to help the Bubs Foundation while shopping on Amazon.com? Just click the banner below -- or share this shortlink: www.tinyurl.com/BubsAmazon -- and shop as you normally would, and a small percentage of the purchase price will be donated directly! Curtis Guild Elementary School holds first ever concert! 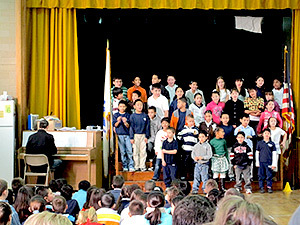 Supported by a grant from The Bubs Foundation, Curtis Guild Elementary in East Boston was able to hold a concert right before the winter break in December. The concert was packed full of singing, dancing and fun. Popular music was mixed with Christmas carols, and there was even a song from Oliver, “Food, Glorious Food!” Parents filled the gym, making it a standing room only event for the 200 people in the crowd. This was the first ever musical performance at the school! To learn more about the grant making process at The Bubs Foundation, please visit the Grants page. Tufts Beelzebubs release single to benefit The Bubs Foundation! The Tufts Beelzebubs have released a single of “Refuge/Waiting on the World to Change”, originally by John Legend and John Mayer, on iTunes to accompany their new music video. All the proceeds from the sales of the song will be donated to The Bubs Foundation to benefit both the grant-making and Be the Music® programs. 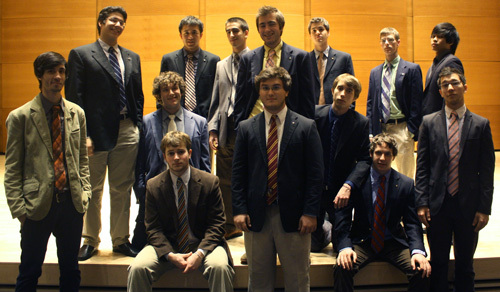 We are so thankful for the donations from the group, as well as the concerts they that they perform for the foundation. To download the song, please use the following link: Beelzebubs on iTunes.